All of the nail polishes that I used in this look are new releases from Color Club. The flower nails, which use shades from the Paris in Love collection, began with a base of Macaroon Swoon, a beautiful pale yellow. 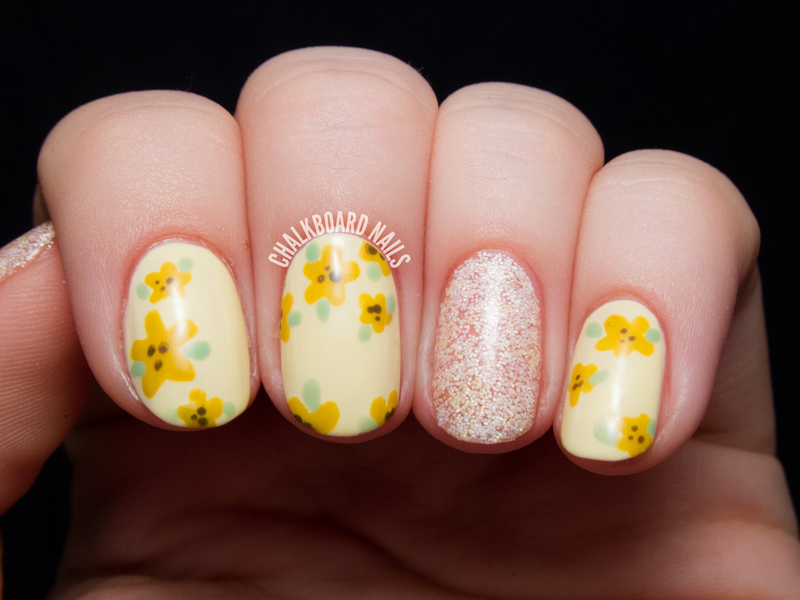 Then, using a small nail art brush, I painted on simple five-petal flowers in different sizes using Je Ne Sais Quoi, a warm mustard shade. Final touches included adding dots of Fondue for Two to the centers, and painting on small leaves using La Petite Mint-sieur. The matte microglitter accent nails show three coats of Orange Crush, from the Modern Mosaic collection. It's always nice to have a few designs in your arsenal that can be done in a very short amount of time. We all lead such busy lives nowadays! Color Club polishes are available via ShopColorClub.com. Each of these shades retails for $8. Love them, so cute! ^^. These are super cute! Love the colour and design. They are adorable! I also love how quickly this mani can be done! Love it! I'm a fan of Color Club myself. I wish I could do something like this in 15-20 minutes! Looks great! This is such a beautiful colour combination. I am in love!!! 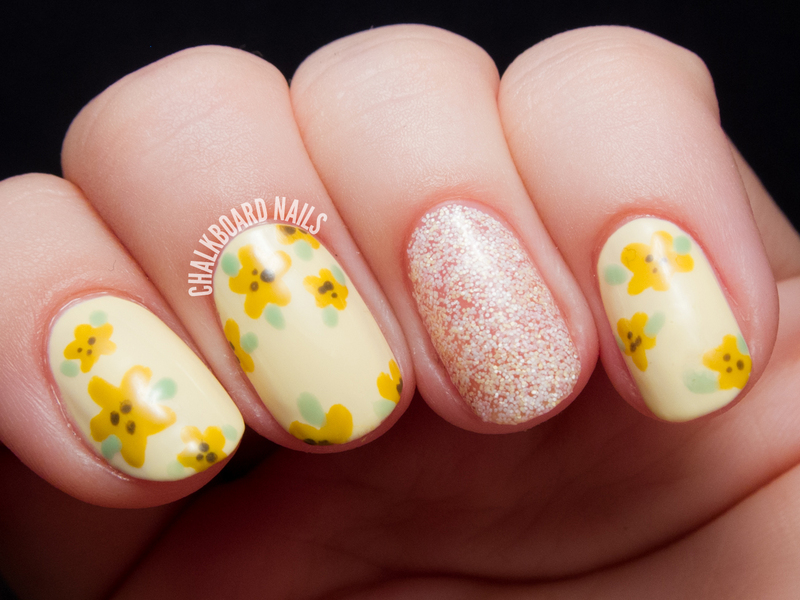 The colours are so pretty for Spring, I love these nails! These are so sweet! 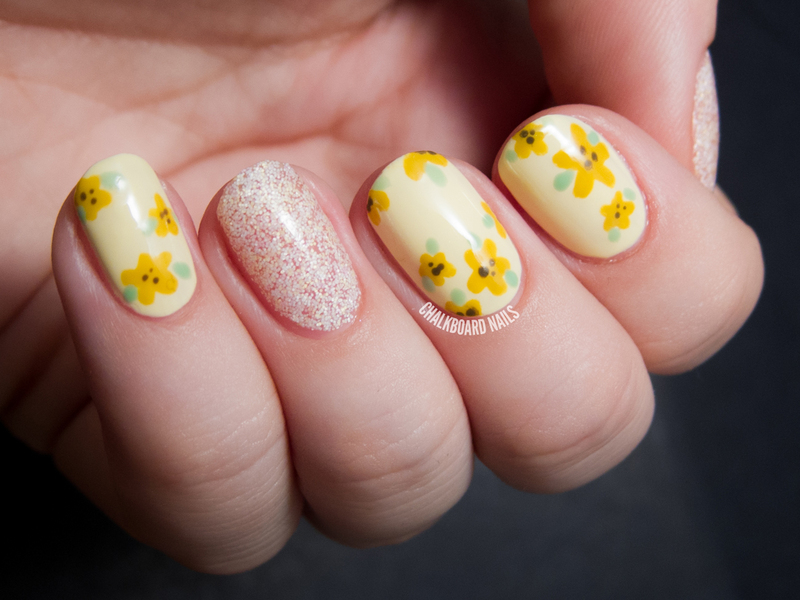 I keep attempting floral nails but they never seem to turn out well, do you have any tips other than keep trying? These are adorable!!! Perfect for summer! Such a pretty nail design. I'm loving the yellow floral print! These are so pretty. I'll have to give them a go! Something I think I saw on this blog that I found really helpful is to trim your nail art brushes. It helps you control your brush better, I think. Youtube has a tutorial from Mr. Candiipants that describes her trimming technique. Lovely nail art! I actually thought the base color was Revlon CS Buttercup. 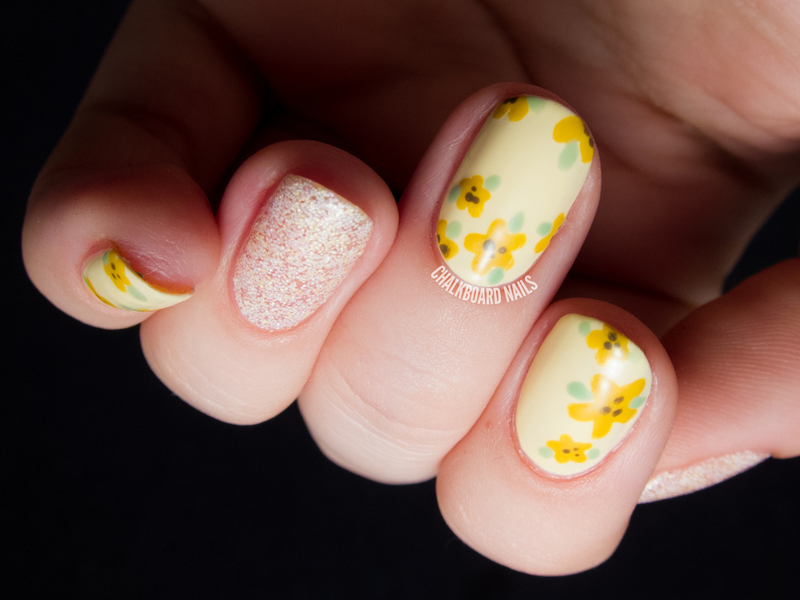 It's a lovely light yellow with a great formula, and the name fits with your post title. The Revlon Colorstay line is being discontinued in favor of a new gel line, so the CS colors should be on clearance in a lot of locations. A lot of people swear by the CS base coat, as well. 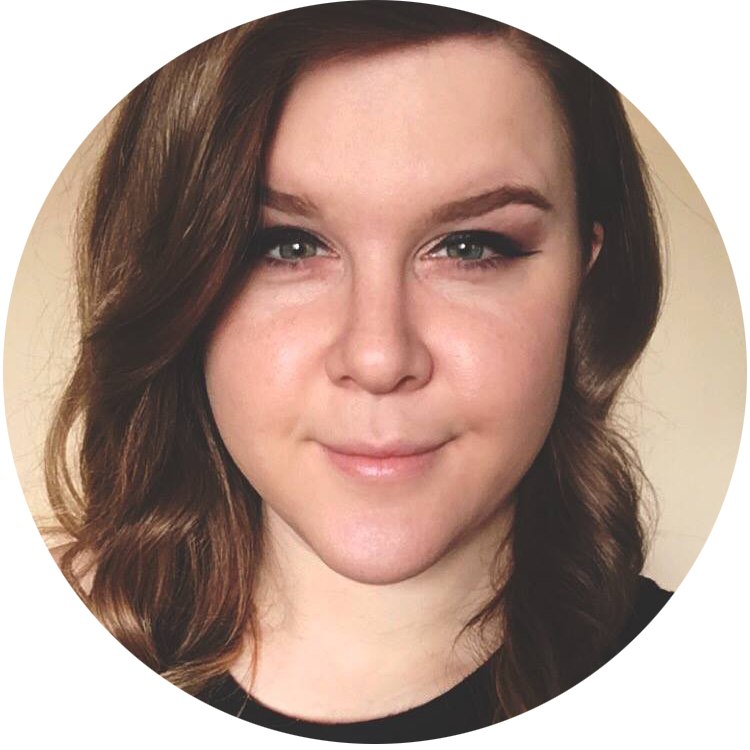 Just wanted to share the info with my fellow lacquerheads! found in the marketplace made it feel even more so).